Lyon extended their lead at the top of Ligue 1 to four points with a 1-0 win at Lens. 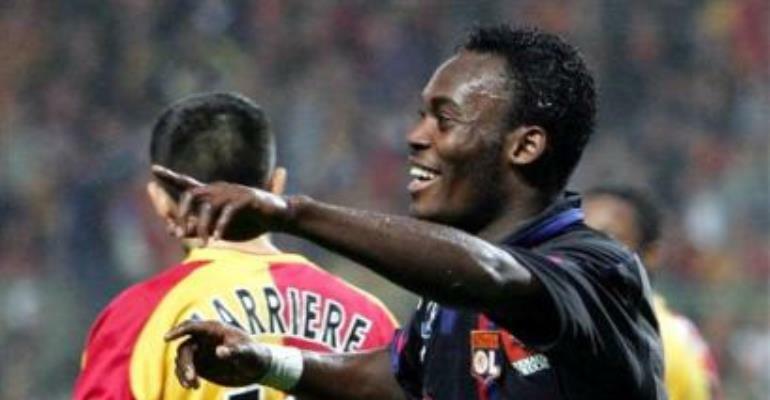 Ghana international Mickael Essien scored the only goal of the game after 36 minutes to further increase the lead of Lyon, who are seeking a fourth consecutive domestic title. Lille could cut the lead to one point by winning their match against Istres at Nimes tomorrow. There is already an eight-point gap between Lyon and third-placed Auxerre, who also have a game in hand, with Sochaux and Monaco now level on the same number of points as Auxerre after both today. Sochaux won 2-0 victory at Caen, Toulouse were held at home 1-1 by Metz, Bastia also drew 1-1 with Rennes, Ajaccio drew 2-2 at Monaco, Strasbourg won 1-0 at home to Bordeaux and St Etienne were 2-1 home victors against Nice.